We install tons of programs on our Windows computers every day, and it is only after a few days, we realize, some program is of no use. Uninstalling a Windows program is not simple by the way. It used to simple until a few years ago when people didn’t realize the ease of uninstalling apps on a smartphone or tablet. Yes, relativity matters. When it comes to uninstalling programs, Windows has its own utility to make uninstalling programs as hassle-free as possible. But sometimes, we dream of having an even easier uninstalling method, and if you are one looking for such a tool, you will have to rely on third-party uninstallers, which are better than Windows’ built-in uninstaller. When it comes to third-party uninstallers, they offer a plethora of additional functionalities, which eventually makes uninstalling Windows programs a lot more easier. Depending upon the additional utilities and functionalities, most third-party uninstallers offer, they can either be paid or free. But trust me, if you own a personal computer, the free third-party uninstallers should perform pretty fluid for you, and there no reasons paying some bucks for a paid or premium one. So here I will discuss the top 10 free uninstallers you will need for your Windows 10/8/7 computer. Without further delay, let’s get started with the list. 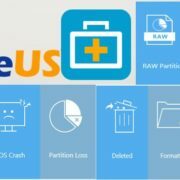 The first one in the list, Revo Uninstaller is one of the best uninstallers you can use for your personal computer. The best aspect about the tool is its user interface, which is pretty simple, and you won’t get puzzled after opening the program for the maiden voyage. You can get the installable version as well the portable one, which doesn’t require installation. Just choose the one most suitable for you. Both Revo Uninstaller Pro and Revo Uninstaller free version comes with an unique Hunter Mode, which, apart from helping you uninstalling a program, can do things easier by showing you the installation folder, terminate the program’s process, prevent it from starting up on boot or remove the traces and Windows registry entries after uninstalling the program. Another useful feature of Revo Uninstaller is the ability to create a system restore point, which can be handy if your system gets bricked after uninstalling some useful program, and you want the old state back. System restore creation after every uninstall. Tough to uninstall partially installed programs. Most users know about Ashampoo, which offer a suite of digital utilities, and the Ashampoo Uninstaller is one among them. No doubt it offers an easy-to-use user interface, but the ability to track the activities of different programs during installation makes it different from others. The only thing you need to do from your side is, choose to open an installer with Ashampoo Uninstaller and leave the rest to it. Thus, the next time you remove the software from your system, Ashampoo will revert back all the settings and delete the files, registry entries automatically, making you think, you never installed the program. Just like other third-party uninstallers, you can even remove additional entries related to a program, by yourself, which is also pretty handy. Ashampoo Uninstaller 7 or 2017 shows a list of installed programs in a beautiful format, and you can sort them according to the installation date, size, rating, which can eventually make uninstalling programs a slice of butter on bread. The ratings are based on Ashampoo’s own database, and the reviews are given by others users. But the ratings are useful in most cases. System monitoring to easily remove program traces. A ton of extra features with the program. Has the ability to uninstall multiple programs one after another. Advertisements are there, and the user should be careful while installing Ashampoo Uninstaller to keep away the download of other programs during the installation process. IObit Uninstaller is more than just an uninstaller. Apart from helping you uninstalling programs you don’t need, it can even help you to uninstall Windows updates, browser crapware along with offering you the option to update the programs, whose updates are available. You can pick up the task, you want IObit to do, from the left panel of the software. Needless to say, IObit Uninstaller features a dark and stylish user interface, which might not be something that makes sense at the time of choosing a utility, but it is no doubt liked by a number of users out there. And yes, you can even delete files associated with a program pretty easily with IObit Uninstaller. IObit Uninstaller also adds a right-click context menu, which can make it easy to uninstall programs with just a single click. Other helpful features of IObit Uninstaller include batch uninstallation support, a file shredder to completely remove files from the physical drive, ability to create a system restore point and many others. IObit Uninstaller is pretty lightweight and is compatible with recent and most old versions of Windows, as well. IObit Uninstaller for all its advantages, the most popular uninstaller among the majority of personal computer users today. Has the ability to recognize bundled software. There might be recommendations to install other programs during startup. Not possible to remove program entries only, from the list. If you are looking for the best-paid uninstaller, CCleaner can be the one you can go for. Well, it also has a free version and offers almost all the features as the paid one. So, I will not recommend you pay some pennies for upgrading to the premium one. CCleaner offers a suite of digital utilities, and one of them is the CCleaner Uninstaller, which is pretty handy and is better than the Windows default uninstaller. CCleaner also comes with a handy option to save the list of programs you have installed, to a text file, which can also be helpful at times. Apart from cleaning the programs, you don’t need, you can also keep an eye on the Windows registry, prevent programs from starting up on boot, analyze the disk, remove unwanted browser plugins and do a lot more with CCleaner. 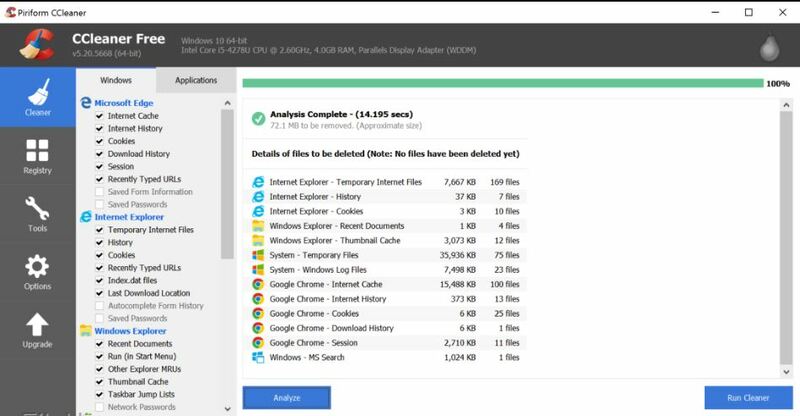 CCleaner also has a portable version which is equally good if you do not want to put extra load on your system by installing a new piece of the program. Has the ability to uninstall and modify selected programs. Very small in size and quite lightweight. Offers installation of other programs, and thus, users should be careful while installing the program. If you are really a geek and is fond of using portable programs over the installed ones, Geek Uninstaller is for you. Available in a small size of almost 10 MB, you can avail almost all the features, you might need from a third party uninstaller. Yes, it is obviously better than the default uninstaller available with Windows. Just like other uninstallers, you can delete additional elements of the uninstalled program, have a look at the installation folder, view the entries of the program in the Windows Registry and many more. Geek Uninstaller features a very simple user interface, which makes it easy for all the users who will be using it. Apart from helping you with uninstalling programs, Geek Uninstaller can even help you export a list of installed programs to HTML, which can be helpful to create a checklist of programs you should install after a fresh installation of Windows. So this is the perfect suite of uninstaller geeks would need to manage their installed programs. Very small in size, less than 10 MB. Possible to export the list of installed programs to a file. Supports uninstallation of Windows Store apps. No option to create restore points after uninstalling programs. If you are looking for the best uninstaller for Windows 10, Wise Program Uninstaller is the one you can opt for. Having a first look at the software will reveal the easy user interface, which can make it simple for most users who have never used a third party uninstaller. 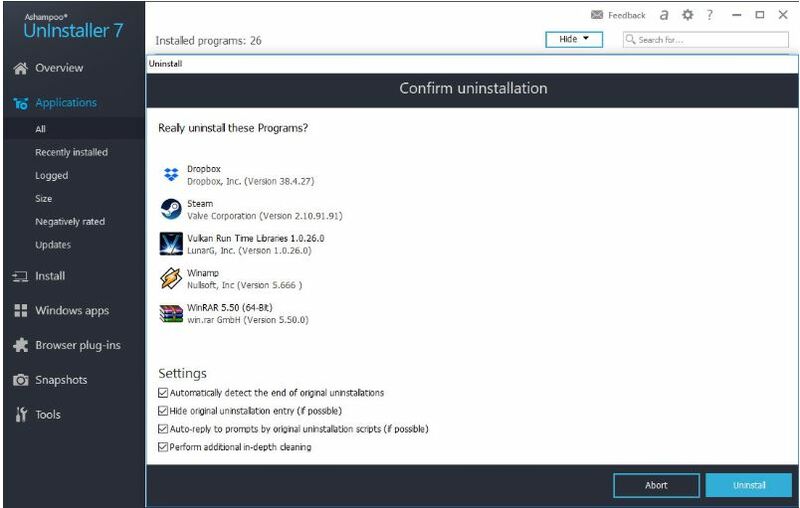 Just like Ashampoo Uninstaller, Wise Program Uninstaller as well gives you a rating for the programs installed, which can help you take a decision of uninstalling a piece of software. 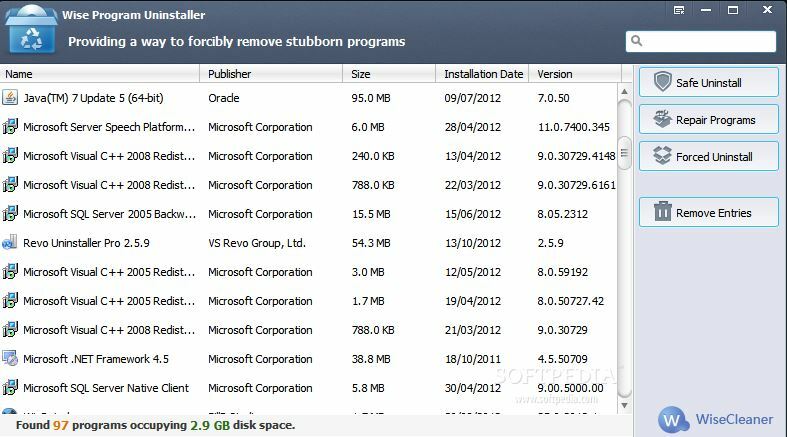 Wise Program Uninstaller comes with a ‘Forced Uninstall’ option that can be of much use if you tried, yet failed in uninstalling the program with the native uninstaller. 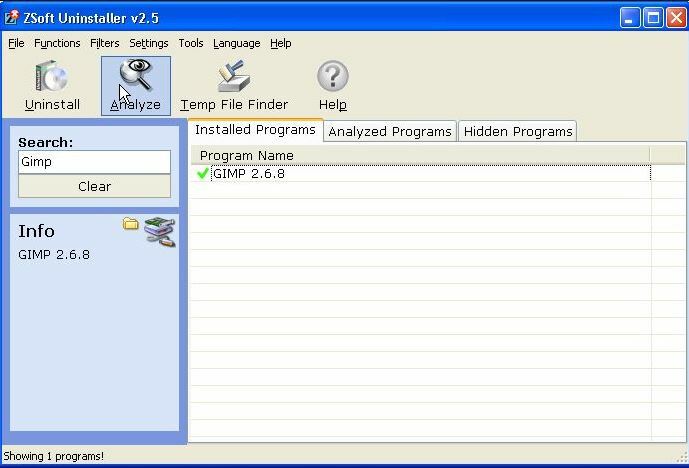 Similar to other program uninstallers, it will also search for the traces of the program in your complete system after the uninstallation is successfully completed. If you want to free up your system, Wise Uninstaller also offer you the option to sort programs according to size to help you remove the heaviest programs before proceeding with the others. 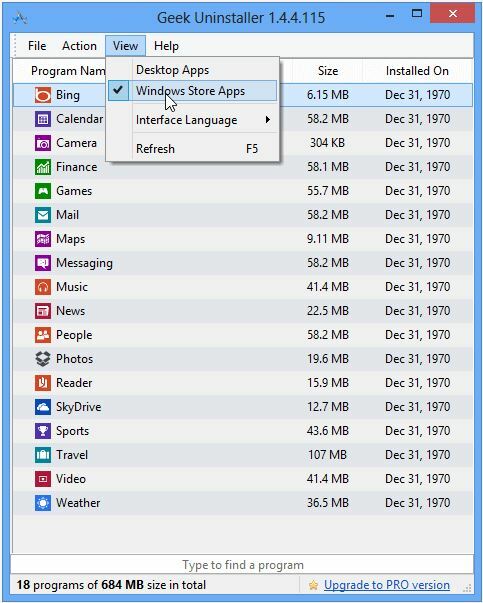 There are other ways as well, as you can sort the list of installed programs. Lastly, you can even uninstall programs with just a single click from the right-click context menu. One-click uninstalls with through right-click context menu possible. Clean and easy user interface. Restore points are not created after uninstallation. Advertisements pop-up from time to time. If you are looking for a full-fledged uninstaller for Windows, Absolute Uninstaller will not disappoint you. Absolute Uninstaller is the best uninstaller 2018 for its unique ‘AutoFix invalid entries’ ability to scan your system for a list of actually installed programs so that the list can be free from false entries, where the actual programs are not present. Absolute Uninstaller features a concise user interface which offers all the functionalities you might need, in a single small window. Absolute Uninstaller also has the ability to remove Windows updates, and batch uninstall programs, which can be of immense help if you want to get rid of multiple programs at once. Just like the other matured uninstallers, Absolute Uninstaller will automatically highlight newly installed programs, and you can even sort programs according to the installation date, size, program name, and the publisher name. Great yet easy user interface. Tries to install additional programs during installation. Not possible to search for installed programs. Most users have heard of the Comodo antivirus. 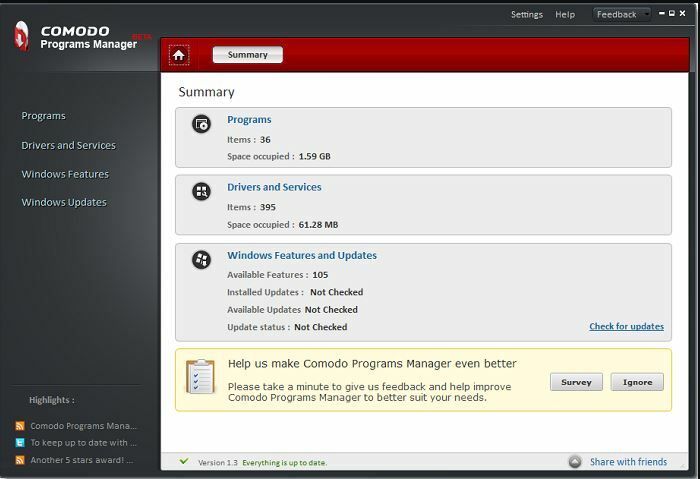 Well apart from the antivirus, Comodo Programs Manager is yet another cool uninstaller, which you can go for. Comodo Programs Manager is a great tool for uninstalling programs but the only con is, it might have been discontinued by the developers and hasn’t been updated since 2011. Thus, if you are having an older version of Windows like XP, Vista or 7, Comodo Programs Manager can be the best tool for you. Not only uninstalling installed programs, Comodo Programs Manager can also help you uninstall Windows updates, and different other components in your system, which you do not need. 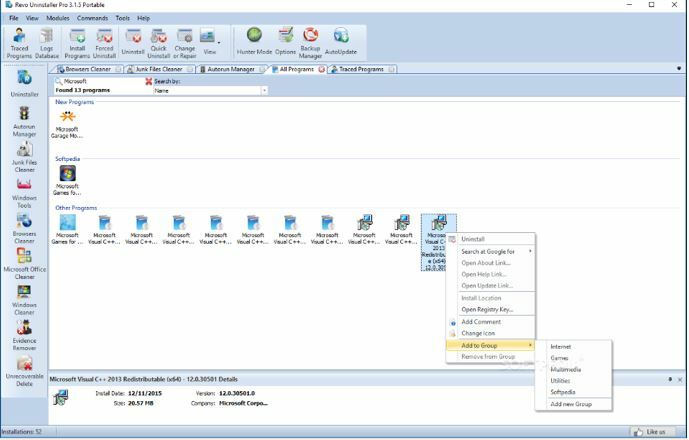 Though very old, Comodo Programs Manager feature a very beautiful user interface and give you all the details about an installed program on selection, which can also be equally handy before you decide to uninstall a program or software suite from your system. Simple to uninstall programs with a single click, with the right-click context menu. No updates since 2011, and thus, don’t support Windows 8, 8.1 and 10. Requires to restart after installation of the program. If you are running out of space on your system and want to uninstall programs, PC Decrapifier, as the name suggests can be your best mate. Available in the form of a portable software, this small 2 MB program is a mighty piece of uninstaller, which can be better than other programs of its class. The software can install most programs with just a single click, and only a few programs will need you to go through the complete wizard of uninstallation. PC Decrapifier also features a very simple user interface. Just choose the programs you want to remove, and click on ‘Remove Selected’ to batch uninstall them all at once. PC Decrapifier, even after being such a tiny piece of uninstaller, also show you the percentage of users, who have uninstalled a program to help you take your decision of uninstalling it, in a better way. PC Decrapifier not only runs on the latest version of Windows, but it also runs on the older version like Windows 2000, XP, etc. Portable version available, and the size of the program is just 2 MB. Possible to uninstall programs in a bulk (Batch uninstall). Possible to uninstall programs without the wizard. Restore point creation is optional, which is also helpful. No option to search for an installed program. A lot of options for sorting is not available. MyUninstaller is another simple uninstaller, which is very simple to use. If you are an expert user, that is not going to make a huge difference. But if you are a novice user, using MyUninstaller will really make sense. MyUninstaller features a simple user interface, and you can sort the programs according to installation date, company name, and many other similar parameters. MyUninstaller also has an expert mode, which can be handy if you want to batch uninstall programs. MyUninstaller is not a unique piece of uninstaller, and you should only try this out if you are looking for a really small software for the purpose of uninstalling programs and suites. Point to be noted about MyUninstaller is that, it is completely portable, which is a lot helpful, and the size of the program is 30 KB. So it isn’t a big deal to keep MyUninstaller at some corner of your hard drive, just in case you need it once in a while. Very small in size, and is around 30-50 KB in size. Portable and doesn’t require any installation. Possible to search for a certain program in the list. Batch uninstall is not that efficient. So that was the list. I tried to keep the list filled with only those uninstallers, which you won’t regret using. If you spend a lot of hours on your computer, and you need to try out different kinds of programs and software suites, using a third-party uninstaller will really keep your system free from unwanted bloats, which most third-party programs come with. 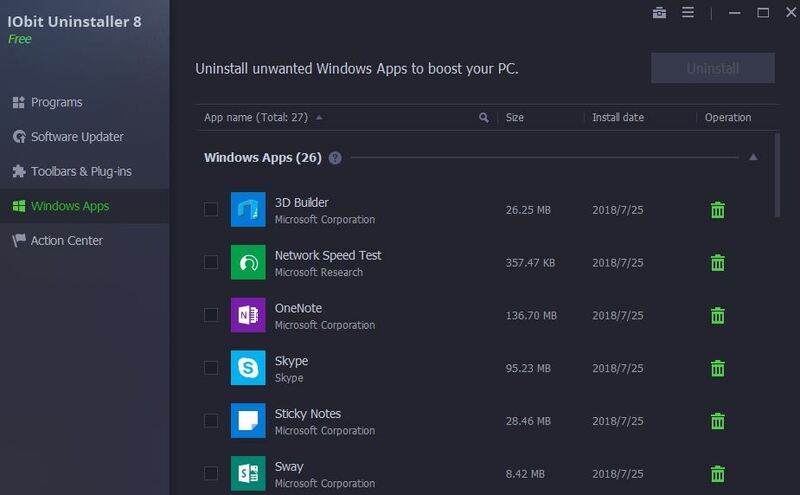 All the uninstalling tools, which are mentioned above are, in some way or the other better than the default uninstaller, which comes with Windows 10, or other older versions of Windows. So there are no chances of regret. If you haven’t liked any of the uninstallers mentioned above, here is a bonus one. ZSoft Uninstaller, is the one but is a little difficult to work with. But if your task is limited only to uninstalling programs, Zsoft Uninstaller should just nail it. Just like Ashampoo Uninstaller, ZSoft Uninstaller also analyzes a program at the time of installation to understand the changes it has made, while the process was on. Things are not presented in an easy way like the other uninstallers, and that is my only complaint. ZSoft Uninstaller also comes with the hidden feature to sort programs according to the installation date and name, but it can be a difficult task for you to find the option. Yes, kind of hidden. Due to lack of optimizations, the software is a little slow, as well. ZSoft is also an uninstaller and thus, kept it in the list, just to give you an option to try it out, lest it delivers better performance in your case. ZSoft Uninstaller is free just like the others, so it will not cost you if you give it a try if you have Windows XP other old versions Windows system. 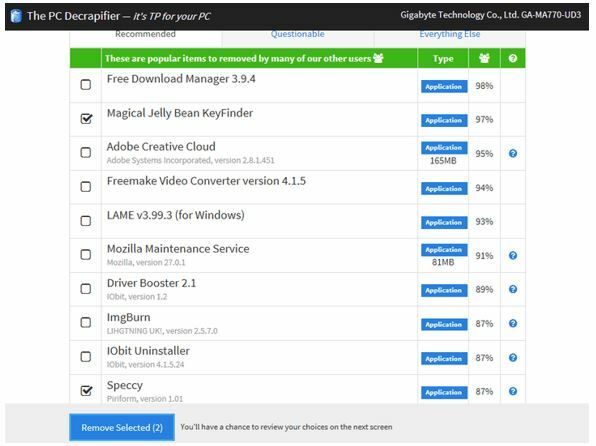 Hope the top 10 free uninstallers for Windows was helpful for you. Do you know any other great uninstaller, which deserved its position in the list? Feel free to comment it down below. 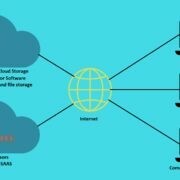 What is Software as a Service? 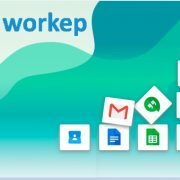 How it is different from everyday software? Are they any good? IObit Uninstaller Pro is an integrated uninstall utility that enables you to remove unneeded programs, updates, browser toolbars and plug-ins easily.